I love coffee as much as the next person, but tea will always remain my first true caffeinated love. After water, it is the most widely consumed drink in the world. Whether its the tannins or the often purported effects of the antioxidants, I always feel better while drinking a nice hot cup of pekoe perfection. Unless of course I accidentally brew a cup and forget to drink it, only to subsequently experience the horror of finding its gone cold. 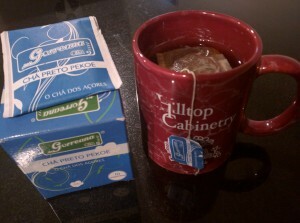 Gorreana tea is one of my favorite teas in the world. 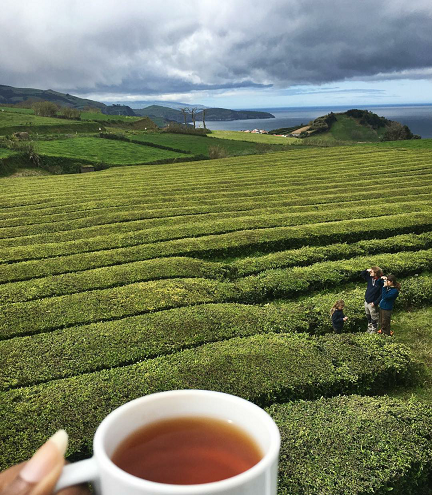 I’ve visited their estate in the Azores once before and really enjoyed learning about the tea making process and having the chance to drink some of their in house selections. It is grown without the use of herbicides, pesticides or fungicides at the eco-friendly Gorreana tea estate and has been for over 125 years. I recently realized I hadn’t experienced the joy of drinking some in a long time, so I decided to order some on Amazon. This stuff is the real deal. Upon first sip I immediately remembered why I loved their tea so much. 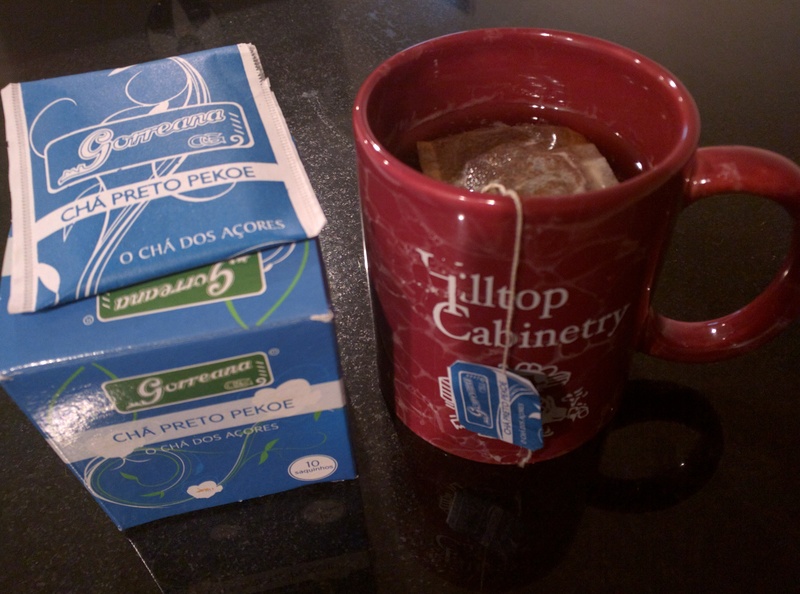 The flavors of this tea are perfect, not too overpowering and just the right amount of kick. The orange pekoe (a term for high grade black tea) has an attractive old gold color and smells a bit lemony, with a grassy edge to it. 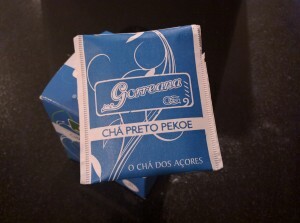 This tea has a natural sweetness of its own, so you don’t need to add any sugar to it if you don’t want to. I typically like to steep my tea for one and a half to two minutes, as is suggested by many experts to release the right amount of tannins & flavor without being too overpowering. 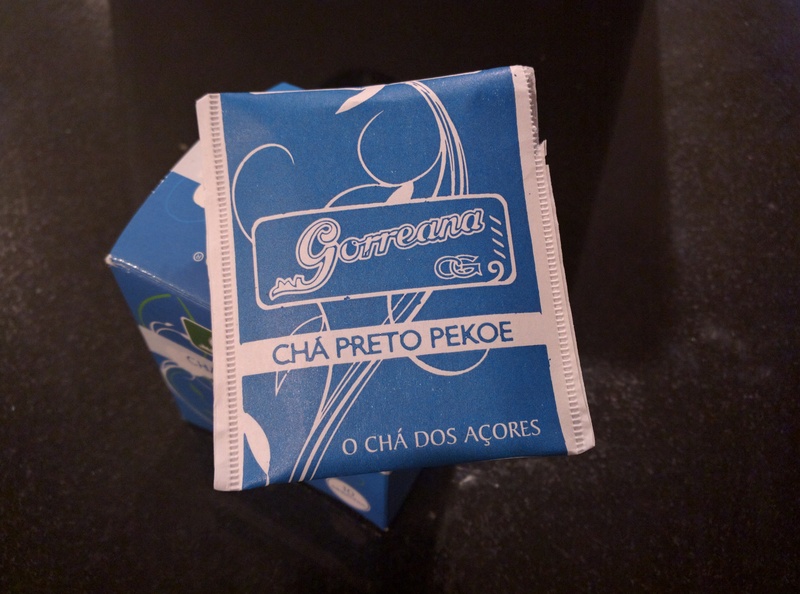 For those who like tea, this is the one of the only places in Europe that you can buy some. This is because of the warm and wet climate of the region. To the delight of all plants in the area, the consistent Atlantic rain rarely stops to take a rest. The rich volcanic soil of the islands provides unbelievable nutrition to plant life, and this is easily recognizable in the quality of flavor. This kind of environment is unmatched, totally unique, and could not be more perfect for tea and all forms of plant growth. 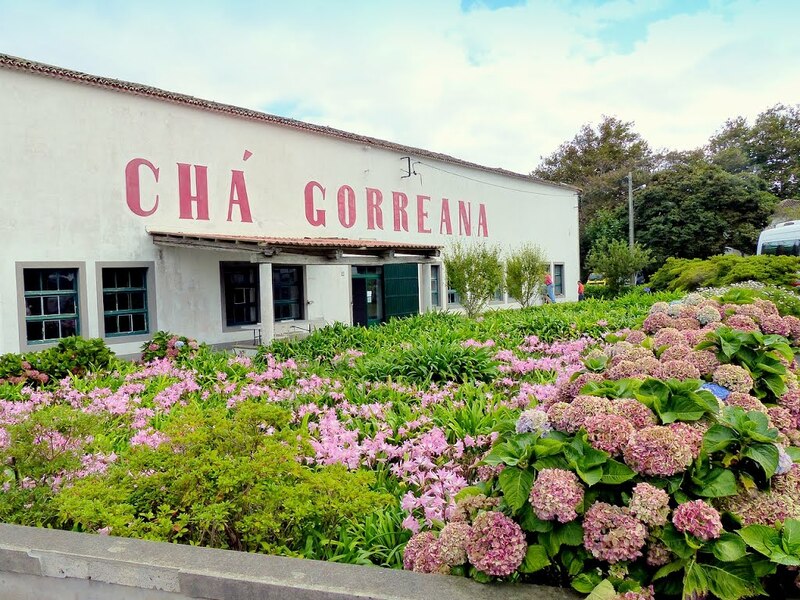 The kind of care taken into developing tea has been going on at the Gorreana estate for centuries. If you ever have a chance to visit, you can enjoy a wonderful tour with an interesting look at how tea is created from beginning to end. The Chinese, inventors and masters of this magical craft, taught the Portuguese their trade centuries ago, and the Azoreans haven’t skipped a beat since. It can be enjoyed on its own, as “Milk Tea“, or along with just about any assortment of your favorite spices like some turmeric, cinnamon, or nutmeg. I would really recommend this tea to anybody ranging from aficionado all the way to someone who only enjoys a cup on occasion, its that great. If your interested, you can buy some here on Amazon . 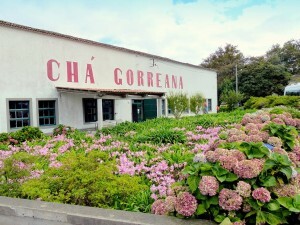 They have many other options of Gorreana tea available including white, green, and all types of loose leaf for those who are interested. Its fairly inexpensive, and you always know exactly what your going to get. European food regulations are the strictest in the world, which means when you buy something you know it’s going to be of good quality. For teas, this is especially important, as it can say on the label its from somewhere in India or China but with their lax regulations on certain food products you can just never be sure. Its the only high quality tea you can buy with the assurance that what your getting is whats on the label. Try it out, and let us know what you think!